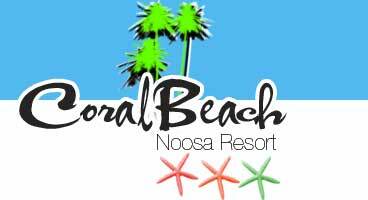 Coral Beach Resort Accommodation is located in Noosa, one of Australia's most beautiful and most popular family holiday destinations, on Queensland's Sunshine Coast. The Resort is ideally situated adjacent to the Noosa River which is lined with sandy beaches and picnic spots and offers an abundance of river and water activities. Facilities and activities within easy walking distance include Noosa River parklands, over twenty-five quality restaurants (including the Thomas Street restaurant precinct), hire boats and related equipment, swimming, fishing, canoeing, jet skiing, sailing and river cruising. 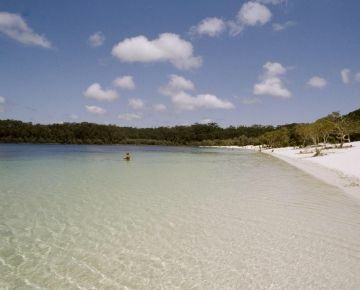 It is also the ideal location to organize a Fraser Island or Coloured Sands tour. We have a choice of 46 two & three bedroom fully furnished 2 storey "Queensland" style townhouses with large modern open and airy living spaces. There are two bathrooms, one on each level, and a well appointed kitchen with dishwasher, microwave and conventional oven. You will have an automatic washing machine and dryer, colour TV and video player. Located beachside on one of the Sunshine Coast’s most picturesque headlands, Oaks Seaforth Resort offers spacious 1, 2 and 3 bedroom apartments and penthouses, all with spa baths and balconies to take in the superb views over the Pacific Ocean. All apartments and penthouses feature full kitchen facilities including microwave and dishwasher, as well as large open plan living areas. Each penthouse has a private rooftop balcony. On your doorstep, a patrolled surf beach and onsite, an impressive swimming pool with cascading water feature, children’s wading pool, spa, fully equipped gym, sauna, poolside barbecue facilities, restaurant, wine cellar, gaming lounge and one car space per apartment in the secure undercover parking area. Only $89 down payment secures open voucher. Voucher valid 12 Months from date of sale. Excluding all school & public holidays, long weekends and special events as deemed special by the property . Prices only valid using an Oceanroad Holidays voucher. Voucher must be surrendered to resort on arrival. Small price increase subject to change without notice. *Spacious 2&3 bedroom Townhouse accommodation set amongst tropical surrounds. *Three Saunas plus a full size tennis Court. * Each pool area provides covered BBQfacilities. Oaks Oasis is located on the southern tip of Queensland’s beautiful Sunshine Coast at Caloundra, metres from the clear ocean waters of Golden Beach. 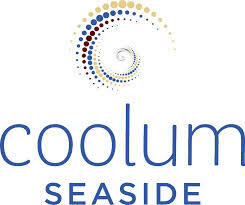 Coolum Seaside Resort at Coolum Beach is the best kept secret on the Sunshine Coast, boasting luxury apartments and the widest range of facilities in Coolum – with no additional charges. Whether you are in need of a family holiday, a couples retreat or are simply in Coolum on business, our passion is ensuring our guests enjoy their time with us so much that they don’t want to leave…. Private Balcony, Pool & Garden Views, Access to all Resort facilities, The ground floor studio apartments have a courtyard with direct access to the lap pool. Some apartments feature in-room spa baths and some have private rooftop terraces. (please telephone direct for availability of these options SURCHARGES MAY APPLY).